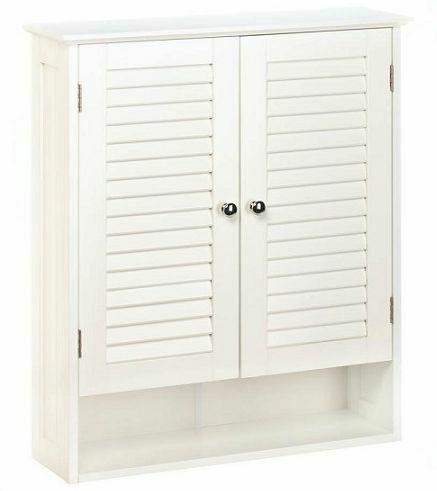 Add storage space to any wall with this lovely wood cabinet. 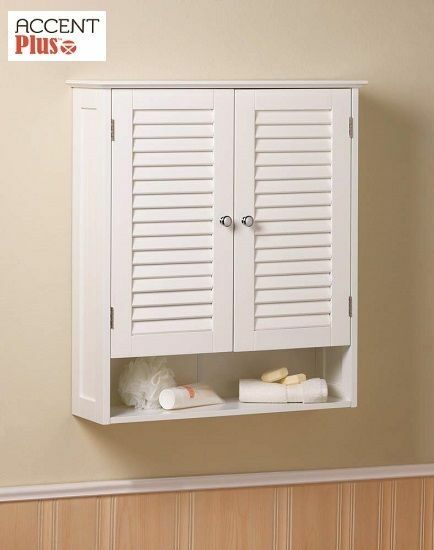 It features a lower display shelf and shuttered doors with silver hardware, and behind the doors are shelves to keep your essentials organized. This is a great addition to your bathroom! Dimensions: 23" x 7" x 27"